As our Primary E- Manufacturing Development mission (P.L.M business objectives) we are a FS cyber based virtual design and development manufacturing group. We exist to channel our stated original neo concept virtual technologies into the world of flight simulation across multiple simulation platforms... " IN NO WAY OR FORM DOES MoTIS REPRESENT ITSELF AS A REAL WORLD AIRCRAFT MANUFACTURING COMPANY". We are a cyber based concept development group using flight simulation platforms for the virtual prototyping and visualization of our very own neo concept design!" After full online testing and aircraft work ups, we then release several of these stated virtual technologies into the world of simulation via pay ware venues..
As a Secondary mission MoTIS virtual jet design virtual aircraft development group strives to provide professional neo concept add-on products for the Microsoft flight simulator product platform. We create full artistic renderings of aviation technology along with the full work up and creation of extensive online content for all of our neo concept technology creations in question. 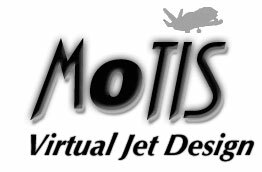 Motisvirtualjetdesign.com SHALL NOT BE RESPONSIBLE FOR ANY ERRORS OR OMISSIONS CONTAINED AT THIS WEB SITE, AND RESERVES THE RIGHT TO MAKE CHANGES WITHOUT NOTICE. In no event shall Motisvirtualjetdesign.com be liable for any damages whatsoever, and in particular Motisvirtualjetdesign.com shall not be liable for special, indirect, consequential, or incidental damages, or damages for lost profits, loss of revenue, or loss of use, arising out of or related to the Motisvirtualjetdesign.com Web site or the information contained in it, whether such damages arise in contract, negligence, tort, under statute, in equity, at law or otherwise. MoTIS software and accompanying files are sold "as is" and without warranties as to performance or merchantability or any other warranties whether expressed or implied. This software and the accompanying files are intended solely for entertainment purposes and are not suitable nor shall they be used for any type of training purposes. Because of the various hardware and software environments in which MoTIS products may be used, no warranty is offered. The user must assume the entire risk of using the software. Any liability of MoTIS products will be limited exclusively to a product replacement. Note: All of these concept aircraft are from the design staff of the MoTIS VIRTUAL CAD engineering board and our CEO. We do not copy others work or design real world concept aircraft at all. Each of our aircraft are from our heads and are the sole intellectual property of MoTIS and we can prove it. We take great pride in all of our true concept designs and do not create real world aircraft, model aircraft variants or concepts, or other designers concept work at all ,but stand by our mission statement in truly creating "OUR OWN DESIGNS"